Gage & Tollner, in a photograph likely taken between 1936 and 1945. On a dark, rainy morning in April 2017, I found my calling. 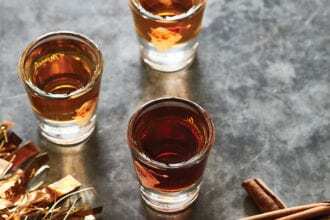 I wasn’t looking for it—I was looking for a place to open a little cocktail bar in Downtown Brooklyn, something to complement Fort Defiance, my neighborhood café-bar in Red Hook. I’d been thinking about this bar ever since I got divorced, in the hulking, Brutalist courthouse that marks the western boundary of the neighborhood. Every time I left that building—which seems purpose-built to diminish all who enter it—I wanted nothing more than a cozy barroom, a well-made cocktail and a bartender who, with a smile or a wink, acknowledged our shared humanity. There was no such place within a short walk, and there are plenty of us divorcés. In entrepreneurial circles, this is called “identifying an unmet need in the marketplace,” but really, I was just thirsty. Gage & Tollner is a legendary Brooklyn restaurant, known primarily for its longevity—it was open for 125 years—and its uniquely beautiful interior, which received landmark designation in the 1970s. Built at the height of New York’s Gilded Age, the dining room sports immense arched mirrors framed by cherry molding and cut-velvet panels, studded with brass coat hooks tall enough to accommodate Edwardian top hats. From its coved ceiling hang elaborate brass gaslit chandeliers, whose flickering flames were lit every day at sundown. Recently, however, Gage & Tollner was better known as an example of aesthetic debasement and neglect. After it closed for business in 2004, Gage & Tollner became a TGI Friday’s, and then (shudder) an Arby’s. After that, a succession of retailers completely hid the magnificent interior under false walls, piles of cheap clothing and costume jewelry. During these later years, I’d gone into the space a few times to pay my respects like a pilgrim, and tried to imagine what, if anything, was left to salvage. But now here we were. The clothes and the false walls were gone, and Gage & Tollner was back—a little rough around the edges, but mostly and gloriously intact. It was like that moment your eyes adjust after walking into a dark cathedral from a sunlit plaza, when the angels start to reveal themselves in the architecture, and you sense in the air above you the swirling of something divine. Before I knew what was happening, that something had gotten inside of me. I looked over at Ben. It got inside him, too. We called Ben’s wife, chef Sohui Kim, on the way home. “I send you boys out for a carton of milk, and you come home with a cow,” she said. Since I went public with our plans to reopen, former guests seek us out like we were long-lost cousins, to tell us about the parties they had at Gage’s—the bar mitzvahs, wedding receptions and anniversaries—and to root us on from the sidelines. These well-wishers look just like Downtown Brooklyn, in all its blessed ethnic diversity, and they give me strength when the project looks too big, or the building looks too old, or the money seems too much. 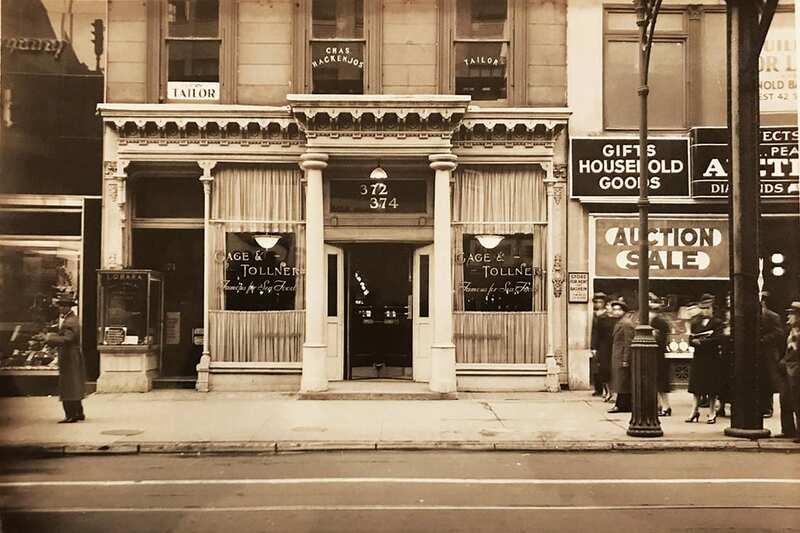 In a year or so, if all goes well, we’ll open the doors to the new, reborn Gage & Tollner, and that block of Downtown Brooklyn will once again have a cozy barroom serving well-made drinks. And that smiling guy behind the bar? That’ll be me. Two easy ways to turn up the merriment.